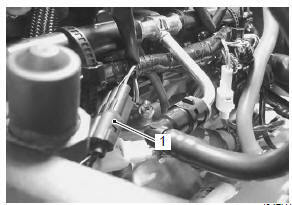 Disconnect the speed sensor lead wire coupler (1). 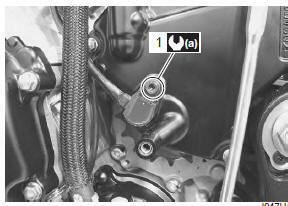 Install the speed sensor in the reverse order of removal. 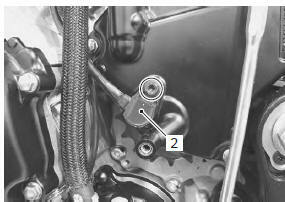 tighten the speed sensor mounting bolt (1) to the specified torque. Route the speed sensor lead wire. Refer to “wiring harness routing diagram” in section 9a .